Arlington Soccer Night at DC UNITED! Get your team together for a great night of professional soccer! 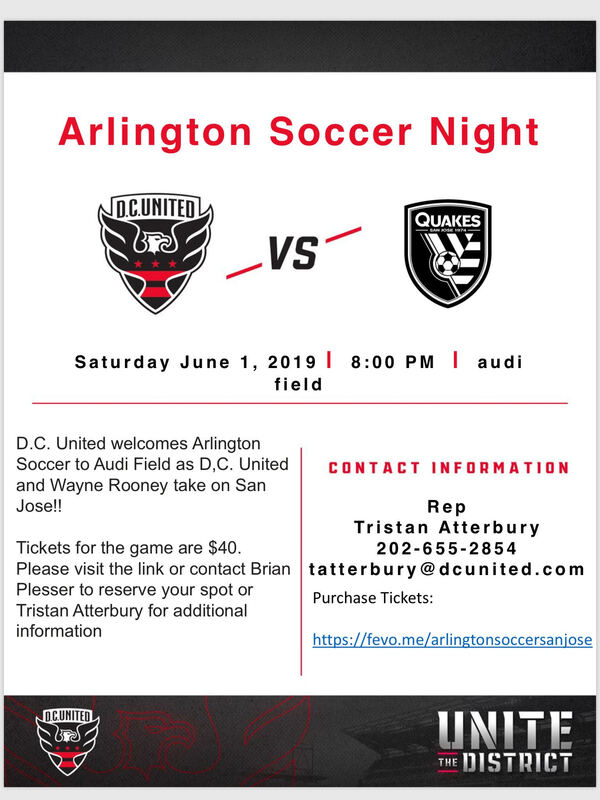 Grab tickets now for a special Arlington Soccer night at Audi Field as our own DC United and Wayne Rooney take on San Jose Saturday, June 1 at 8:00 pm at beautiful new Audi Field. https://fevo.me/arlingtonsoccersanjose or contact our Sales Representative Tristan Atterbury at 202/655-2854 for tickets and questions.